The nine high-powered Space Systems/Loral (SS/L) spacecraft of the Intelsat 7/7A program, which provide global dissemination of voice, video, and data transmission services, have been launched and are in orbit. The Intelsat-7A communications payload architecture evolved from SS/L's Intelsat-5 series and consists of two independent communications subsystems, which can be cross-strapped and operate at C-band (4/6 GHz) and Ku-band (11/14 GHz). Total end-of-life solar array transmitter power generated by an Intelsat 7 is 3600 watts, while an Intelsat 7A generates 4800 Watts. The Intelsat-7A spacecraft are based on SS/L's three-axis, body-stabilized SSL-1300 bus, whose modular design has proven its worth during some 290 years of cumulative on-orbit service, close to one-half of the total of 650 years amassed by SS/L satellites to date. The Intelsat-7A designation identifies the three satellites that were enlarged and fitted with additional communications capacity and power. Four additional, more powerful Ku-band transponders, each with up to 73 watt TWTAs, and a fourth solar-array panel provided the added capacity. Intelsat-7A spacecraft were launched on Ariane-44LP H10-3 and CZ-3B vehicles. 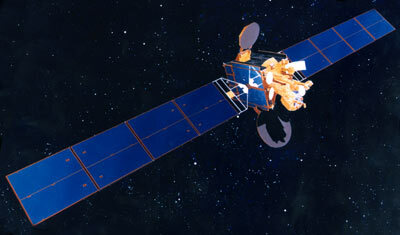 Three Intelsat 7A's were actually built, but one was destroyed in a failed launch attempt. SS/L's team members for the successful Intelsat-7A programs were Aerospatiale and Alcatel Telcom of France, Alenia, Italy, and Mitsubishi Electric Corporation (MELCO) and NEC of Japan.